Our Featured Properties section has two components. 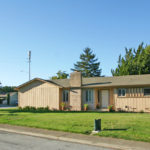 First you will find a link to our active listings within Bay Area Real Estate Information Services, otherwise known locally as BAREIS. By clicking on the blue links within each listing you will find additional listing information, photos, and maps of the property. While using the maps link, be sure to explore the alternative views to see aerial photos of the home and surrounding areas. Next you will see a tab for Additional Properties, where we list other properties we find of tnterest, or those which we have recently represented. Our sold listings were taken from our archives and are presented for purposes of providing comparative sales in the areas we serve.